We’re back with another author who writes about drones. Mike Maden gives us his take…with some fascinating backstory. Why did you choose drone technology? I originally decided to focus on drone technology in my Drone series because like most people following the global war on terror, I began to notice the term “drone” pop up in the news. I’ve always had a fascination with the history of warfare and my curiosity led me to dig in on the topic. What I thought I knew about drones and their possibilities on the battlefield paled in comparison to what has already been deployed and the near future deployments—land, sea, air, space and nano—are literally the stuff of science fiction. What’s most fascinating about the advent of drone technology, though, isn’t how it’s changing warfare but how it’s changing us: our politics, culture and economy. I’m a huge fan of the military techno-thriller genre so it seemed to me the future of that genre would be in drones as well so I dove in, head first. 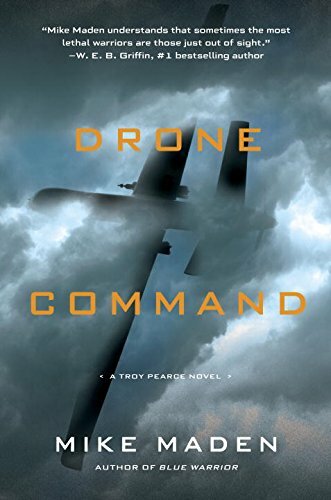 My latest novel, Drone Command, is the third in the series and the development of drone tech continues to utterly fascinate me. Do you think drones will be the future of warfare? Drones will be the future of everything, civilian and military, as advances in sensors and software increase exponentially. Combat systems—planes, tanks, ships and submarines to name a few—are limited in their performance capabilities and mission profiles because of the fragility of the humans they convey. Think of the life support systems (water, food, oxygen, temperature, armor) and waste disposal systems (air, liquid, solid) necessary for the soldiers and sailors serving us around the world. Humans also need sleep and are subject to psychological events such as fear, confusion and stress all of which affect combat performance. In certain advanced combat systems like jet fighters, human biology is the limiting performance factor. Even with G-suits and other contrivances, modern jet aircraft can’t fly as fast or as nimbly as their specs would indicate because the human operator on board would either black out or perish. A supersonic guided missile is what a fighter jet could be if humans weren’t in the cockpit. And don’t get me started on hypersonic vehicles…. In Drone Command I deal more specifically with the new carrier-based UCAV and UCLASS systems like the recently deployed delta-winged X-47B which is a harbinger of things to come. The X-47B is the U.S. Navy’s first UCLASS aircraft capable of completely autonomous carrier take-off, landing and flight operations including surveillance, strike and even air refueling with other autonomous aircraft. Another advantage of computers flying planes or driving ground vehicles is that they can be linked together which means that every vehicle sees and knows what every other vehicle sees and knows. That allows for swarming tactics and other new battlefield operations we haven’t yet fully explored. Imagine playing a chess game with an opponent where your self-aware pieces know where they are in relation to each other and the enemy pieces and all of them attack or defend instantly and simultaneously while your hapless human competitor can only move one piece at a time. That’s a huge oversimplification, of course, but it gives you an idea of the possibilities. The most positive note about drones taking on combat operations is that we are removing our best and brightest young men and women from harm’s way and that can only be a good thing. But this also presents a moral hazard. Politicians in the West typically avoid warfare because they fear the human cost of it. But if politicians think that war won’t cost lives, then they might be more likely to engage in war because it’s just the machines that will do the fighting and this might, ironically, lead to more human casualties in the long run as nations engage in more combat. Bottom line: if computers can beat humans at chess (they do), can out-think humans in high cognition games like Jeopardy (they have) and can do what they do without sleep, fear or worries about home life, then you can see why militaries around the world—including our biggest geopolitical competitors China and Russia—are moving as swiftly as they can toward these technologies even if we decide not to in the future for ethical reasons. Imagine a scenario where China deploys a thousand expendable higher performance unmanned combat aircraft all controlled by supercomputers against an American force of lesser capable, human-controlled aircraft. Who do you think would win? One last sobering thought: the costs of training, housing, payroll, healthcare and retirement absorb a huge percentage of defense budgets that could otherwise be deployed toward systems development and acquisition. From an economic perspective alone, if drones provide greater capabilities for less cost, why wouldn’t you want more of them and fewer humans? This is why I believe drones will be more disruptive to civilian than military affairs and that this disruption will happen much sooner than most of us realize. A 2013 Oxford University study suggested that nearly half of ALL American jobs are at risk of automation within the next twenty years. And we’re not just talking about low skill, low wage jobs. A company in the UK possesses a “drone” pharmaceutical researching device that is creating new medicines faster and cheaper than any human can. There are drone musicians (and music writers), journalists, chefs (who also write recipes) and even “doctors” diagnosing patients. The single biggest change we’ll see is the advance of all forms of self-driving vehicles, especially cars but also trains and planes. One estimate suggests that as many as 90% of all cars on the road now will disappear when we transition to self-driving cars. How did you come up with Troy Pearce’s character and is he inspired by anyone you know or admire? 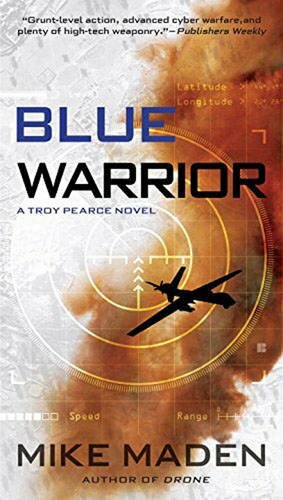 Troy Pearce is my main series character. He’s my idea of a modern American warrior who’s been in the trenches of the global war on terror and survived to talk about it. Like many Americans today he’s a man who deeply loves his country but no longer trusts his government (regardless of political party) to do the right thing. He’s inspired by all of my favorite heroes of the genre—Jack Ryan, Scot Harvath, Mitch Rapp to name a few—but with a modern technological twist. Troy is a former CIA SOG operator who lost too many friends in the “forever war” of GWOT. But he’s a warrior and believes in doing the right thing so he forms his own private security company that specializes in drone warfare. That way he can pick and choose his own battles with a certain moral clarity and by deploying drones can keep his people out of harm’s way. Throughout the series we see Troy’s arc as he continuously struggles with the dilemma: How do you serve your country when you don’t trust your government? But if you truly love your country, how do you not serve? 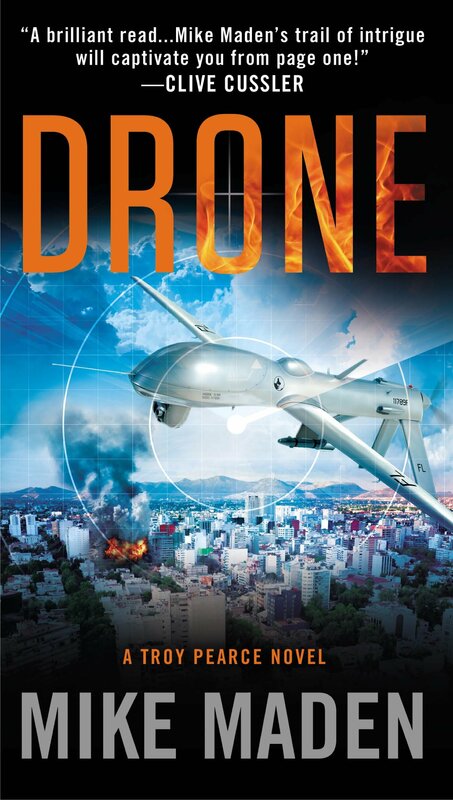 The Drone series has been praised for its inclusion of advanced cyber warfare and high tech technology. Did you have to do a lot of researching before writing? Or do you have a background of working in a similar field? When I began the Drone series I intended on inventing my own drone technology because I knew I would be writing fiction and I have an active imagination. But a few minutes of research into actual drone systems quickly disabused me of the notion that I could possibly outthink the geniuses who actually invent these things. So, yes, I spend a great deal of time researching existing or planned systems and feature them exclusively in my novels. My own background is in graduate studies in international relations and other social science disciplines which is why every Drone story takes place within a larger political and social context. Do you believe drones will be more beneficial or detrimental to our future? Drones are neutral things. It’s the humans that deploy them that are problematic. Another reason why I love writing the Drone series is that it lets me explore the most pressing issues of our day in a new and interesting way. For example, the whole issue of drones raises the fundamental issue of trust. I don’t care if a highway patrol drone is monitoring my speed because I trust the highway patrol and expect them to enforce the speed laws because it makes the roads safer. But as recent political scandals have shown some government officials have actually used our personal information against us for their own partisan or personal political interests. Think of the politician you most despise on either side of the aisle and then imagine them deploying drones over your house. The problem isn’t really the drone, is it? I put drones in the hands of good and bad people in my novels because it allows me to raise the question: Whom do we trust? And do we realize that all democratic politics and all capitalist markets depend entirely on trust? And if trust goes away we lose both. I suppose what I’m saying is that while drones are featured prominently throughout my series, it’s never really about the drones. Your books have a reputation for being filled with nonstop action. Have you always written thrillers? Drone was my first published novel and I really love the genre so I can’t imagine myself writing anything else even if I start a new series. How do you think technology in general is transforming the future of warfare? But there’s also good news. One of the technologies I first explored in Drone is the revolution in brain-machine interfaces. In other words, we now have the capacity to link the human mind to computers. This opens up a world of possibilities not the least of which are incredible non-lethal advances in medical technology. For example, brain-driven exoskeleton suits which were created to enhance combat capabilities of soldiers can also be used to allow quadriplegics to walk for the first time. It also means that some forms of blindness will also be “cured” as we wire around the biological short-circuit and hard wire the brain to an optical device. How cool is that? That’s why Troy’s company, Pearce Systems, has both civilian and military contracts. It allows me to discuss the most exceptional non-military drone tech achievements in my series as well. What’s been the biggest hurdle for you to overcome as an author? The biggest hurdle for me is myself, always, and that’s probably true for most authors. I believe it was Heraclitus who said, “Character is destiny.” The art can’t be bigger than the heart. I was unbelievably fortunate to have been offered a contract with Penguin Random House for the Drone series and the day they called me up was one of the greatest thrills of my life. (I grew up working class devouring Penguin Classics at the public library.) But they didn’t offer to buy an idea; they purchased a manuscript. Had I not taken the chance on myself and written Drone I wouldn’t be in the privileged position I am now and I take that responsibility very, very seriously. I hope anybody that’s reading this who has the least inkling that they are an author will take this to heart and begin writing—now. My biggest struggle right now is that I have way, way too many ideas in my head and I can’t write them down fast enough and I’m experiencing that again as I’m prepping book four in the Drone series. Simple is always better but the world is terribly complex and the issues we’re all facing aren’t amenable to simple solutions. I suppose that’s why I keep defaulting to Troy Pearce, Margaret Myers and other protagonists in the Drone series. Our destiny as a nation and as a species depends now more than ever on people of character who are passionate about doing the right thing no matter the cost to themselves and Troy and Margaret embody that ideal. Growing up in a working-class family in central California, Mike Maden spent a fair share of his youth in slaughter houses, canneries and feed mills but a lifelong fascination with history and politics ultimately led to a Ph.D. in political science from the University of California (Davis) focusing on the areas of conflict, technology and international relations. After brief stints as a campus lecturer, political consultant and media commentator, Mike turned to studies in theology and a decade of work with a Dallas-based non-profit where he eventually discovered fiction writing. DRONE was the result of a recent challenge by two published friends to try his hand at a novel. Written primarily in Texas, BLUE WARRIOR was edited in the shadow of the gorgeous Smoky Mountains of East Tennessee where Mike and his wife Angela now happily reside.